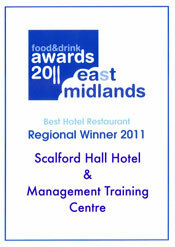 Scalford Hall is that rare gem – a delightful Management Training Centre and Hotel set in lovely gardens in the Leicestershire countryside with an air of tranquillity that promotes superb training outcomes – all delivered by a hugely experienced and efficient team that really understands Hospitality and the importance of efficient service to both Trainer and Client. Scalford Hall provides an excellent corporate management training centre and the extensive grounds give a colourful backdrop to banqueting events and weddings. With our comprehensive range of meetings and training rooms, Scalford Hall often becomes host to company themed events and product launches. The flexibility of the Hall and surrounding grounds makes an ideal venue for all your business needs. At Scalford Hall our 4 acre paddock makes the perfect location for activities suitable for team building events or when the working day is done, the chance to socialise with some fun activities. Our Conference Sales Team will be able to give you more advice, information and pricing on request. As a dedicated Management Training Centre, Scalford Hall has an array of team building and experiential equipment to complement your training course. Set in our 12 acres of landscaped gardens these tasks provide a powerful learning tool for all levels of staff. Whilst there is a physical element in each of the experiential exercises they do not require any special physical prowess within the team to enable the individual task goals to be achieved. They have all been designed to call extensively upon delegate’s cognitive, creative and organisational skills. In additional to the permanent equipment onsite, we have developed a library of other exercises that can be tailored to identify or develop a wide range of management and leadership skills. We will provide guidance on the use of the various exercises and resolution of the challenges they present. Set amongst twelve acres of landscaped gardens, Scalford Hall captures the true essence of an Edwardian Country House. At the heart of Leicestershire’s picturesque countryside this delightful venue provides the perfect setting for one of the UK’s leading Experiential Learning facilities. Xperiential Learning at Scalford Hall is a fantastic complement to classroom training and meetings, and with over 30 activities to choose from has been specifically designed to support your training and team building objectives. Experiential learning techniques actively involves the learner in a real experience – one they will remember and of course practice in the future – making the training more impactful back in the workplace. • Located in the grounds of an award-winning Management Training Centre. • Set in the heart of the Country within minutes of the M1 and A1. • Flexible approach to use of activities: time use, number of activities, facilitated or not. • Powerful tool to complement class room training and meetings. • Improves communication and trust to develop efficient teams. • Recognises the importance of co-operation and the need for support within a team. • Identifies different strengths with the team and promotes bonding to enhance effective team work. • Builds team & business leadership skills. • Competitive packages, tailored to your needs. • Designed with ‘challenge by choice’ ethos - the delegate is in control.